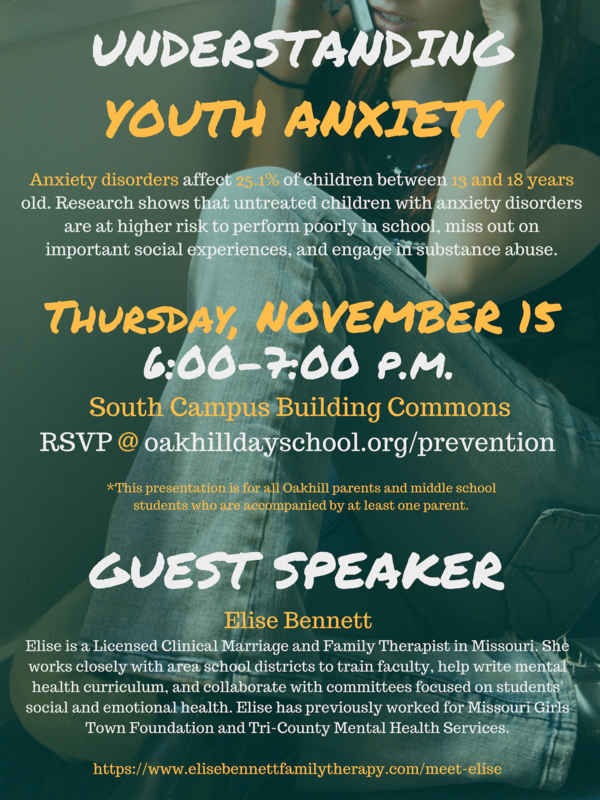 Join us for a presentation on adolescent anxiety with guest speaker Elise Bennett, Licensed Clinical Marriage and Family Therapist in Missouri who works closely with area school districts to train faculty, help write mental health curriculum, and collaborate with committees focused on students' social and emotional health. The event is on Thursday, November 15 from 6:00-7:00 p.m. in the South Campus Building Commons. This presentation is for all Oakhill parents and middle school students who are accompanied by at least one parent.